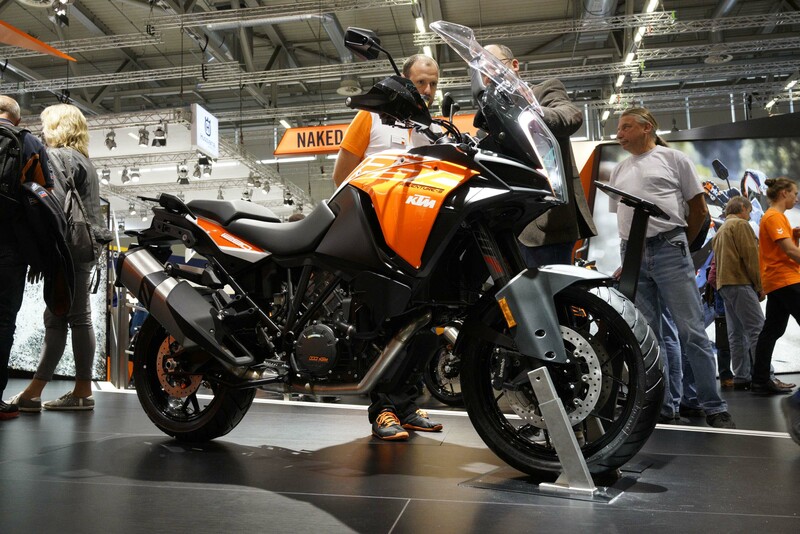 It doesn’t look like 2017 KTM 1290 Adventure S is coming to the USA, but our European readers will enjoy the street-focused ADV bike, as it straddles somewhere between the touring-focused KTM 1290 Adventure T and the off-road shredding KTM 1290 Adventure R.
The KTM 1290 Adventure S offers a turnkey street bike with ample power (158hp), while the 19″/17″ dual-sport cast aluminum wheels give added off-road abilities. 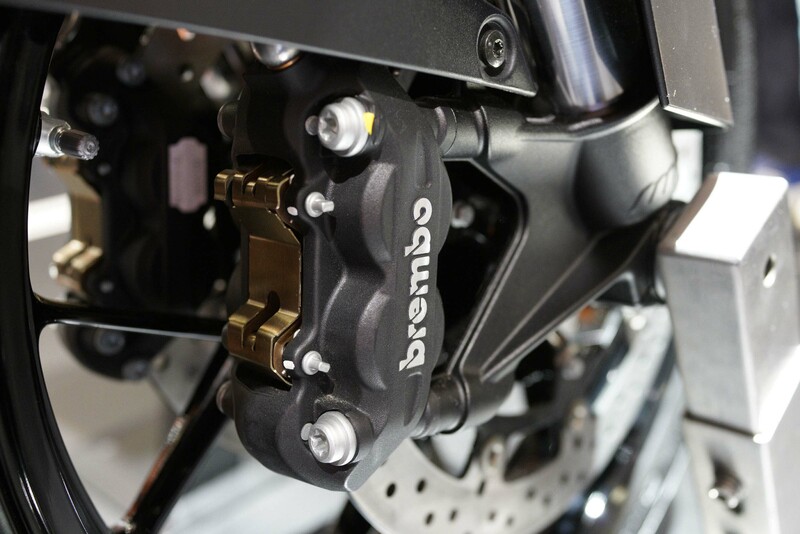 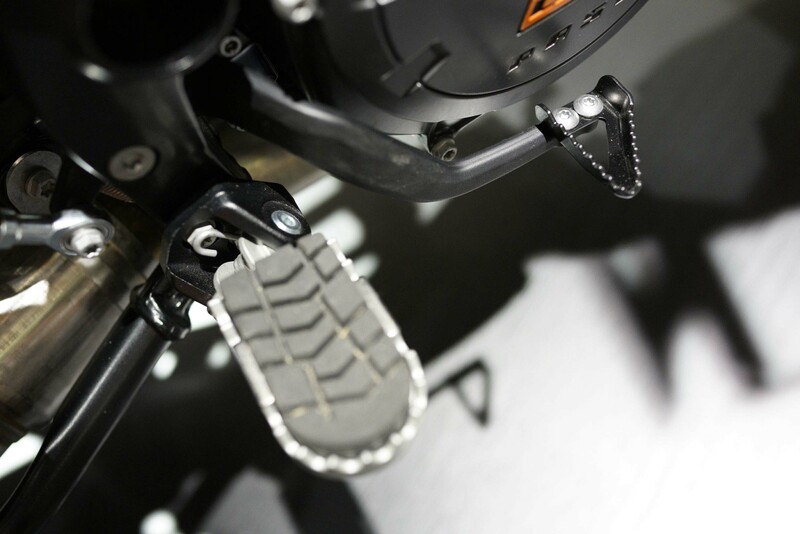 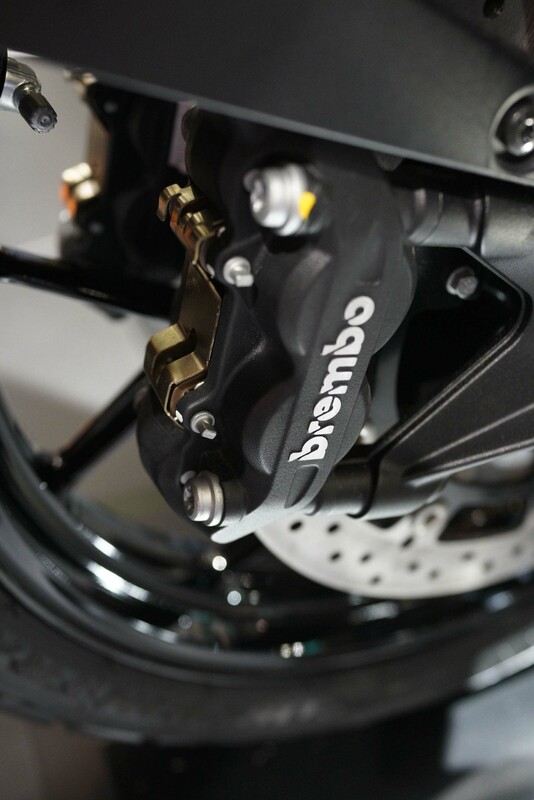 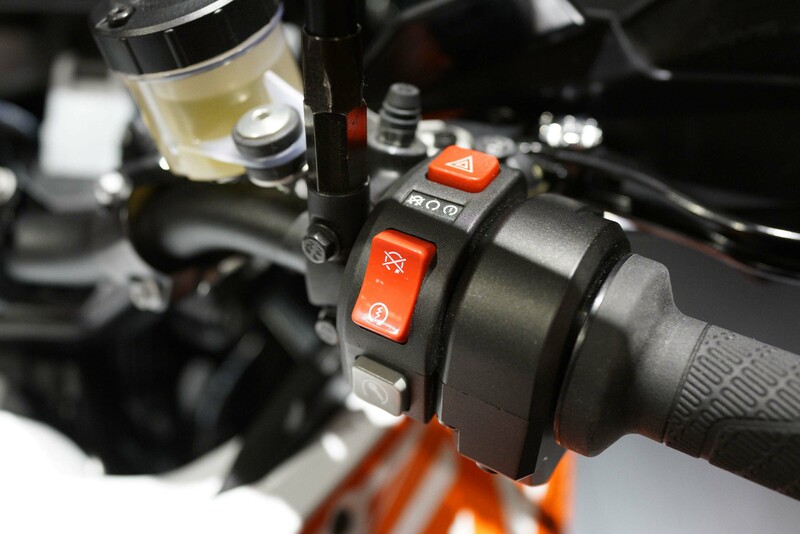 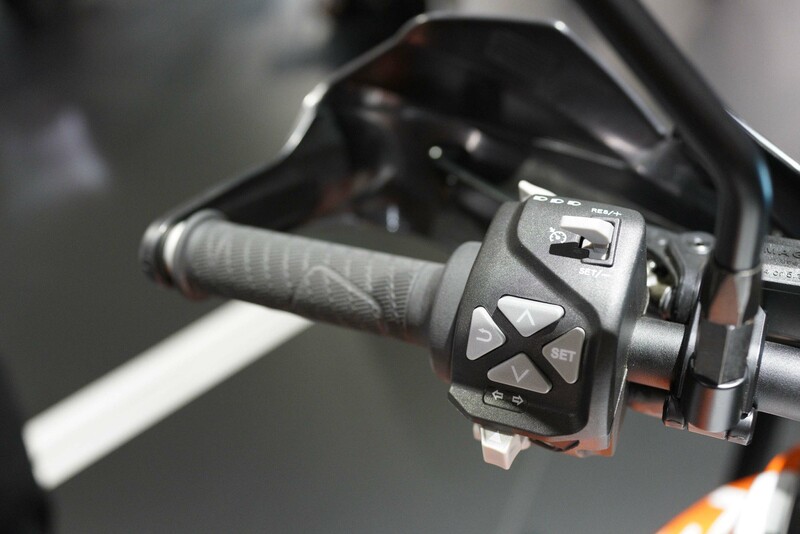 KTM has also added semi-active suspension from WP, as well as traction control (with an off-road setting) and the Bosch cornering ABS package. 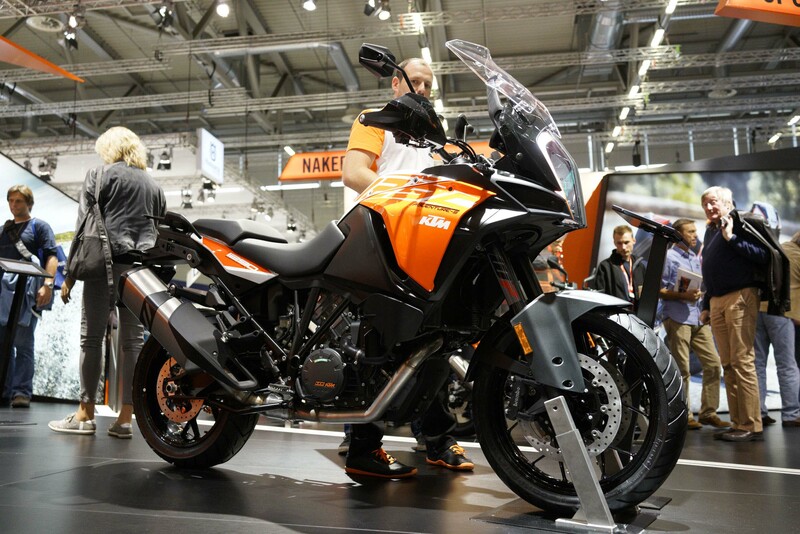 In reality, the 2017 KTM 1290 Adventure S helps the Austrian brand keep a strong hand on the 19-inch wheel portion of the adventure-touring segment, helping keep at bay bikes like the potent Ducati Multistrada 1200 Enduro and the BMW R1200GS. 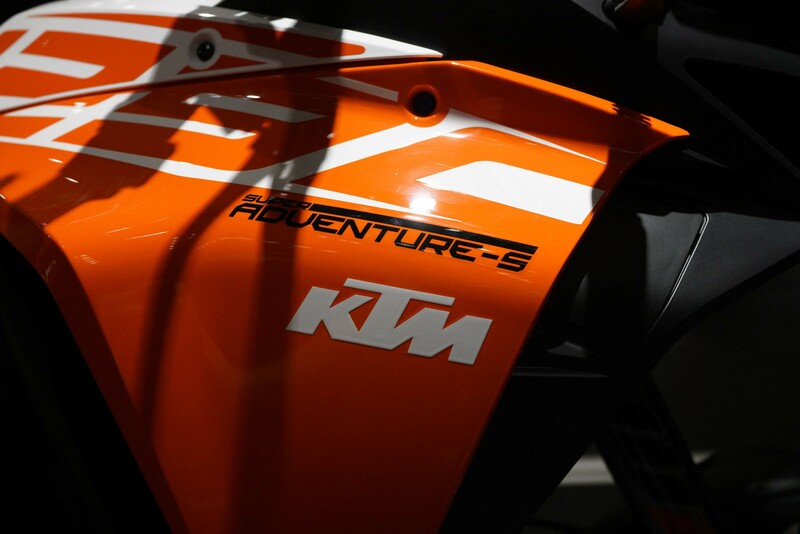 With a revised look for the 2017 model year, and all the promise the previous model years have shown, we expect sales to be strong for the KTM 1290 Adventure S.
For our American readers, the photos after the jump may be as close as we get to this machine. 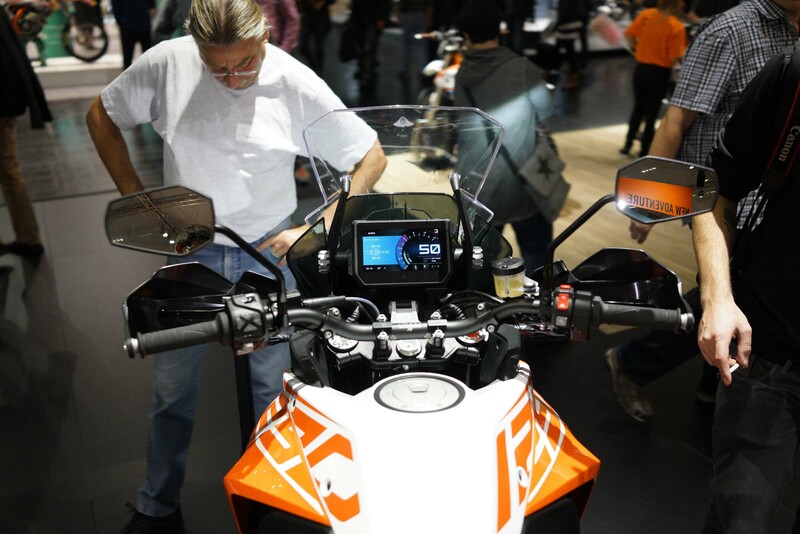 Many thanks to our friends at MotoFire for sharing them with us. 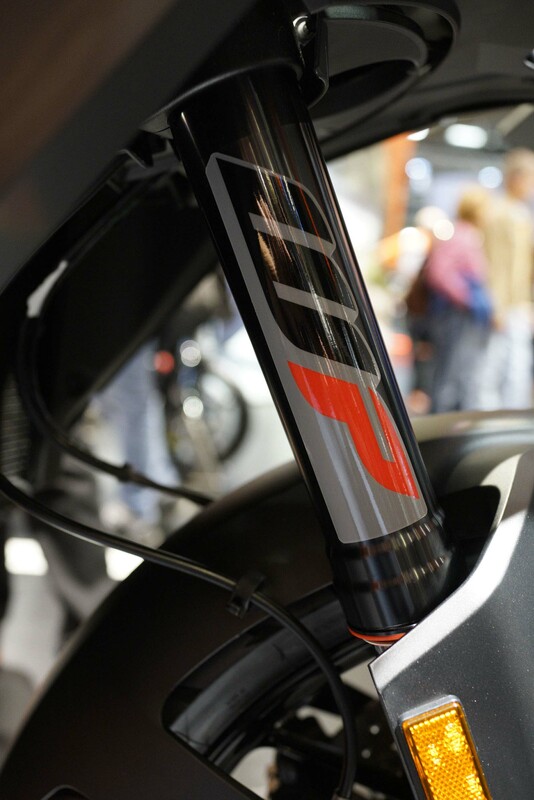 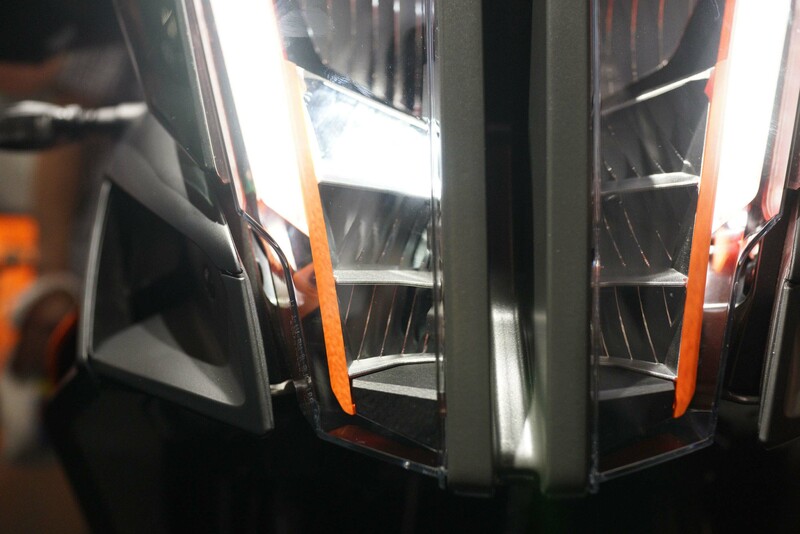 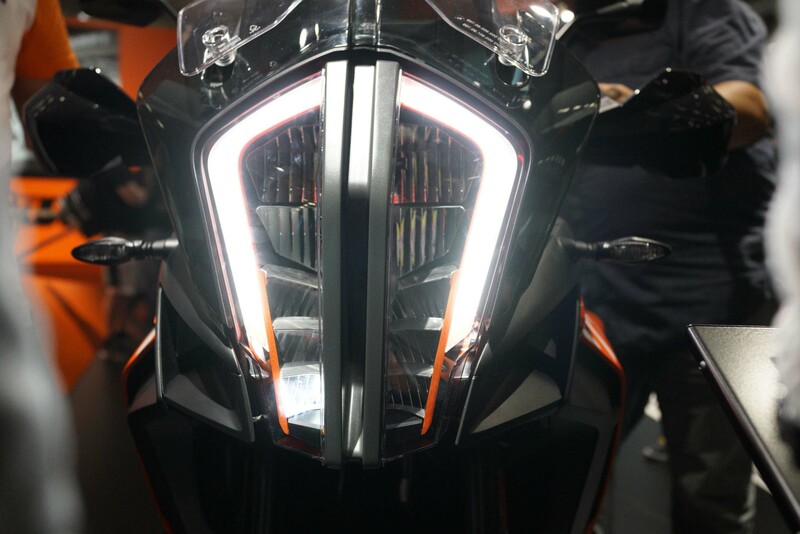 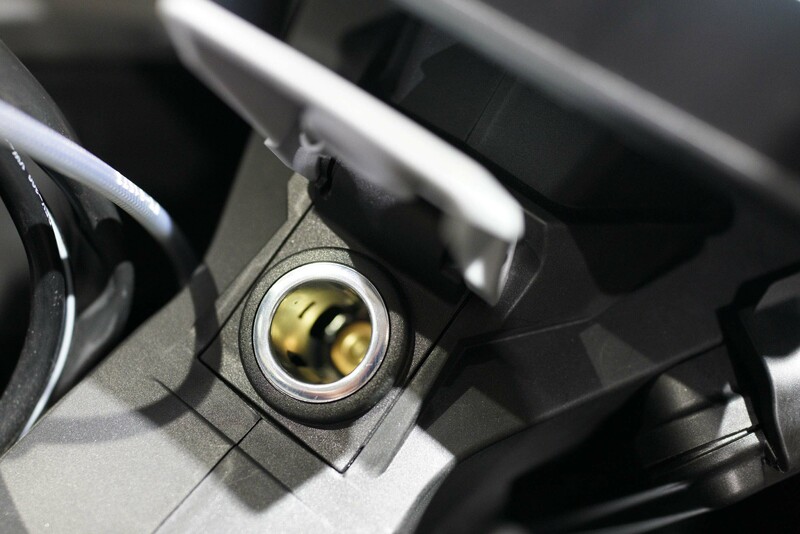 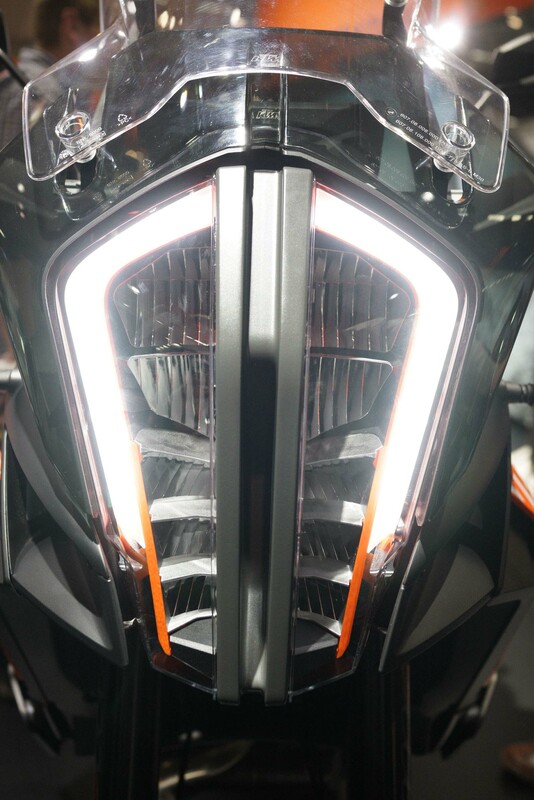 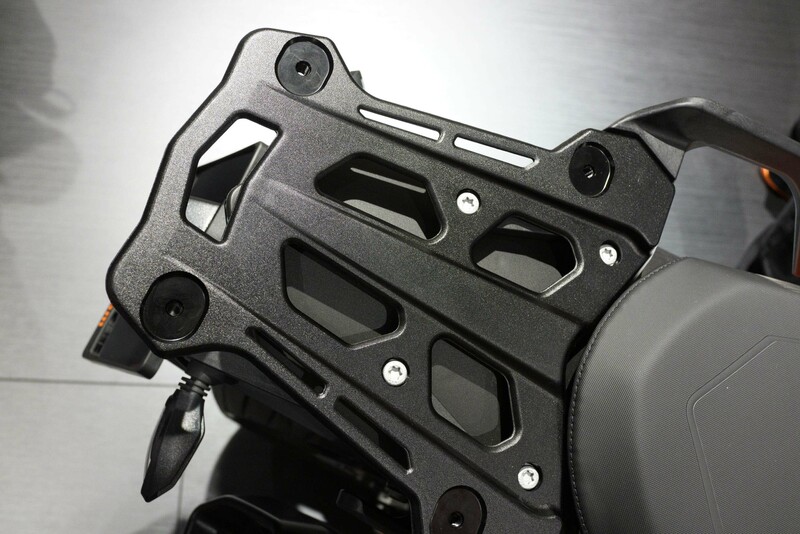 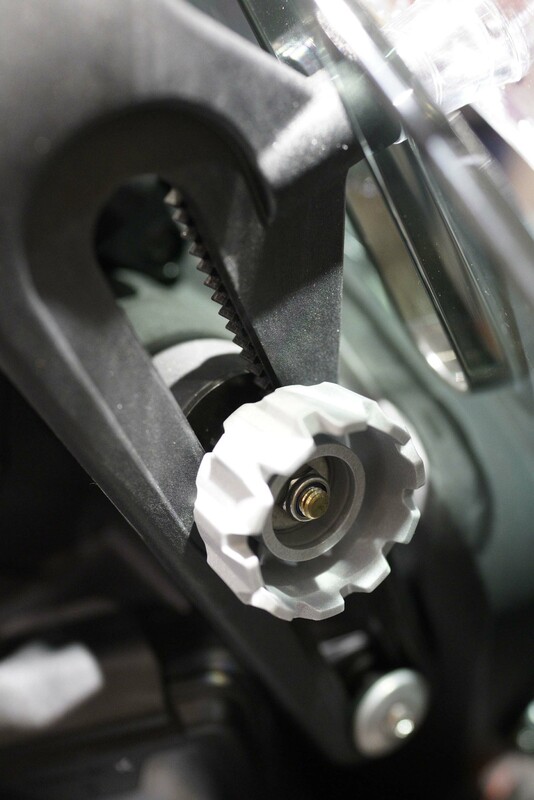 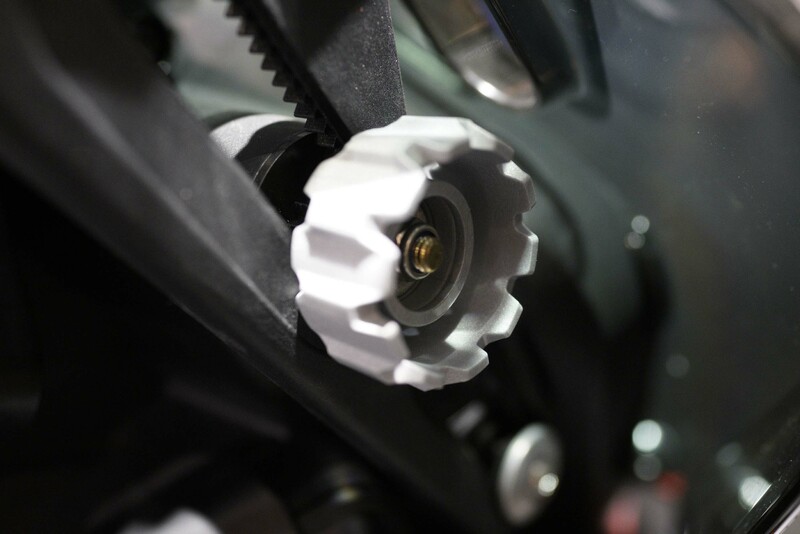 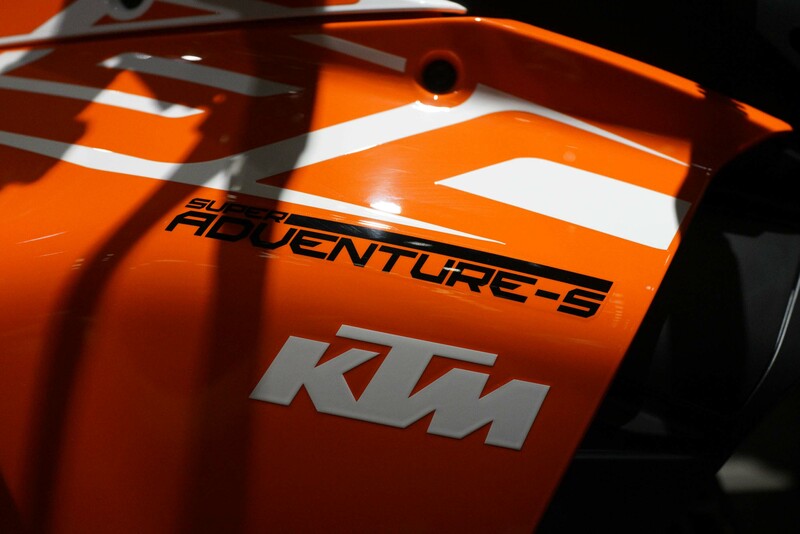 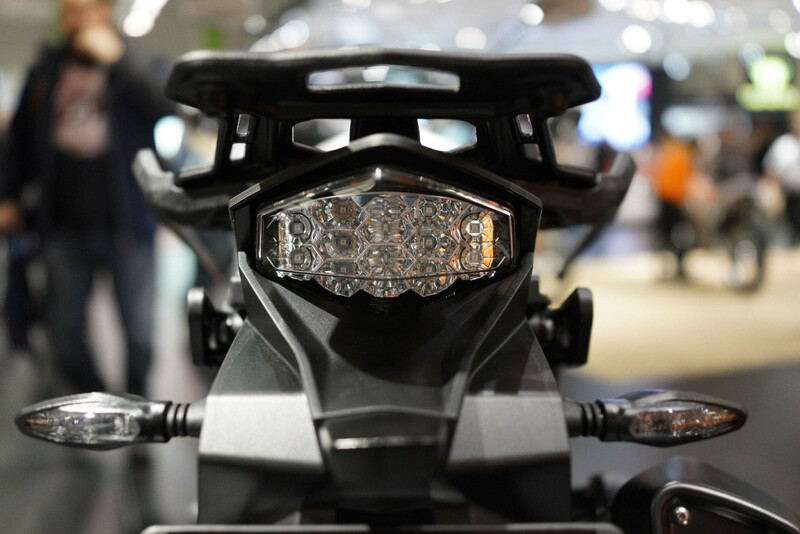 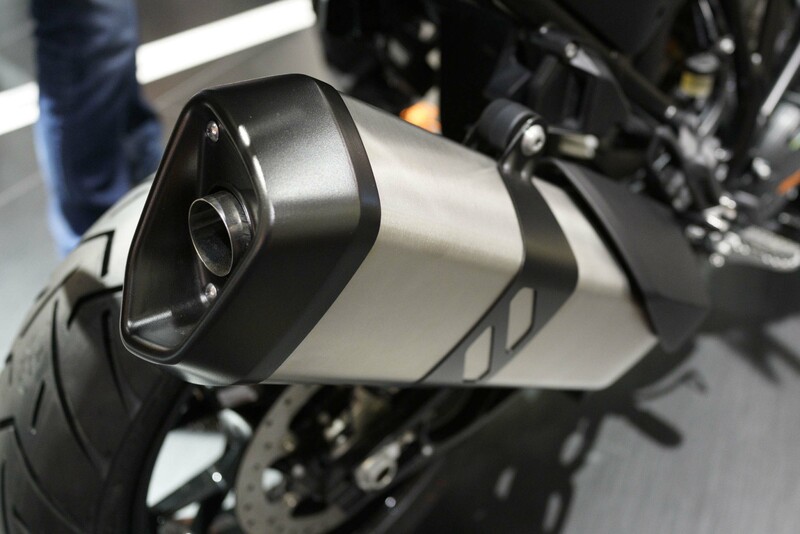 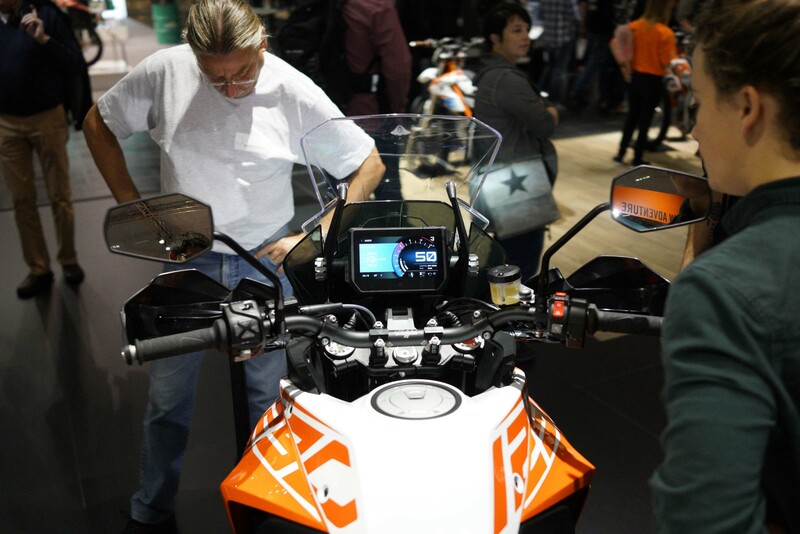 The first item of note is the new face of KTM, with the vertically split LED headlight set to debut on a number of KTM models (we expect a few machines unveiling at November’s EICMA show to share a similar headlamp arrangement). 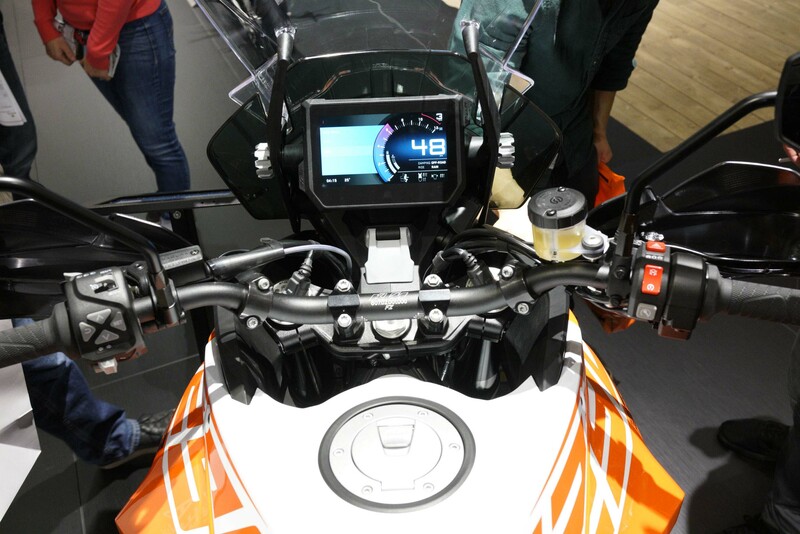 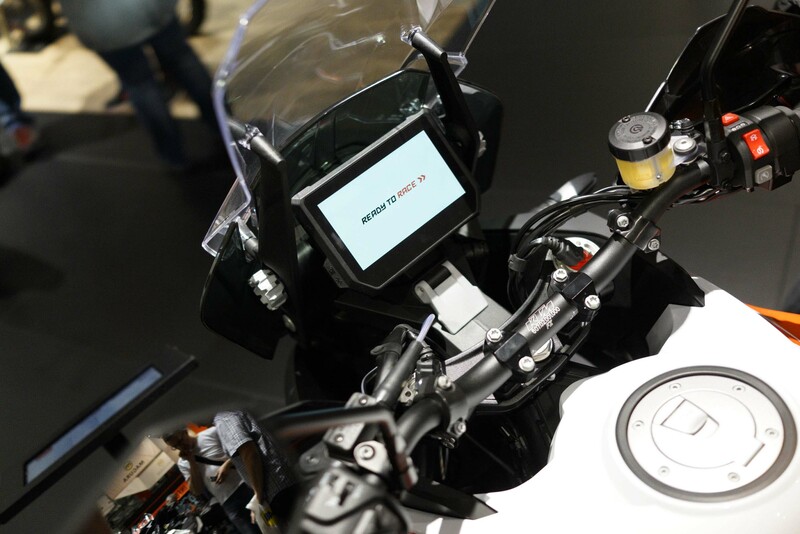 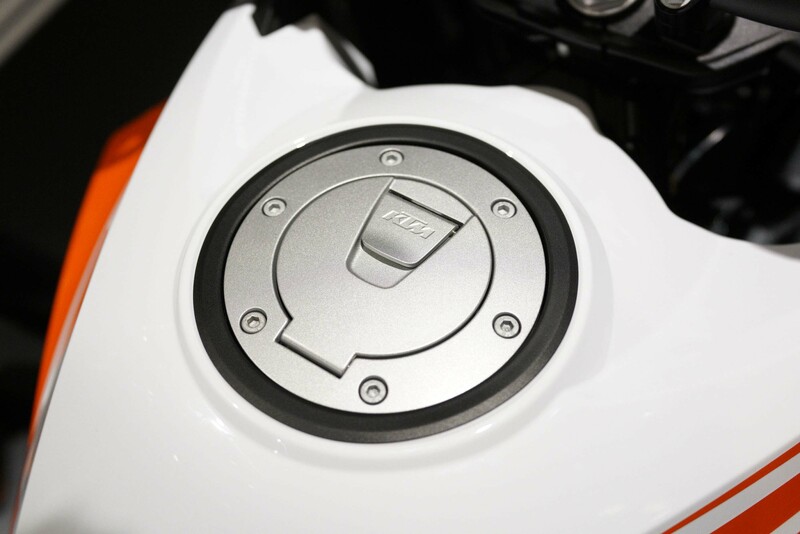 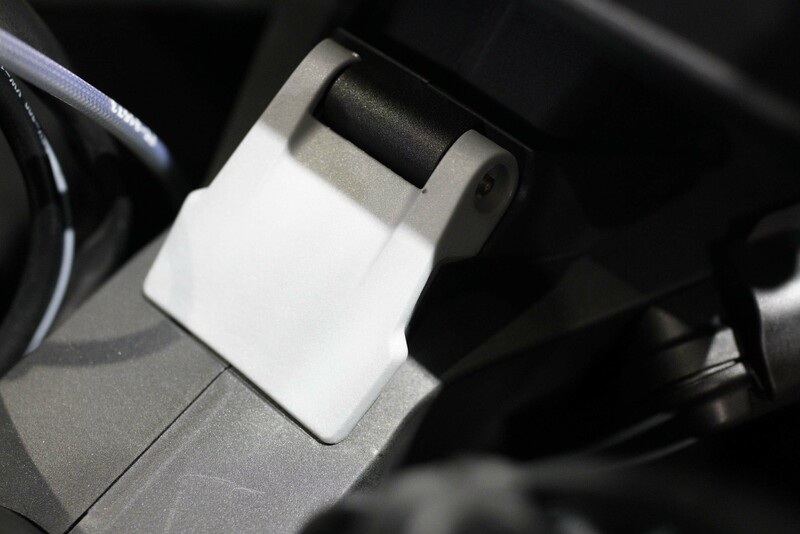 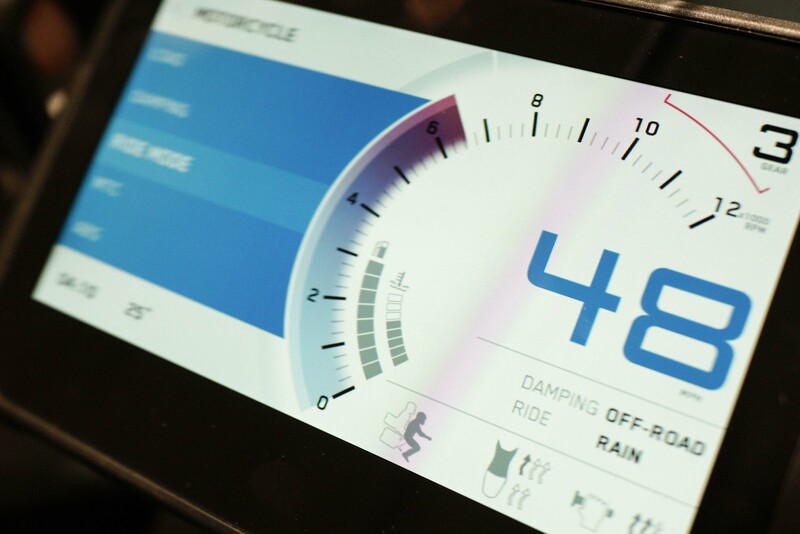 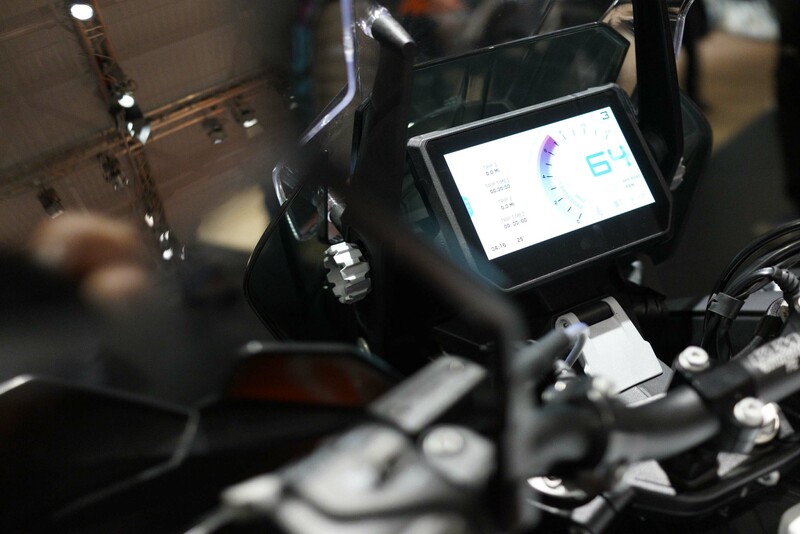 The vibrant TFT dash is also a bold move for KTM, evolving this item to the next logical progression for the motorcycle industry. 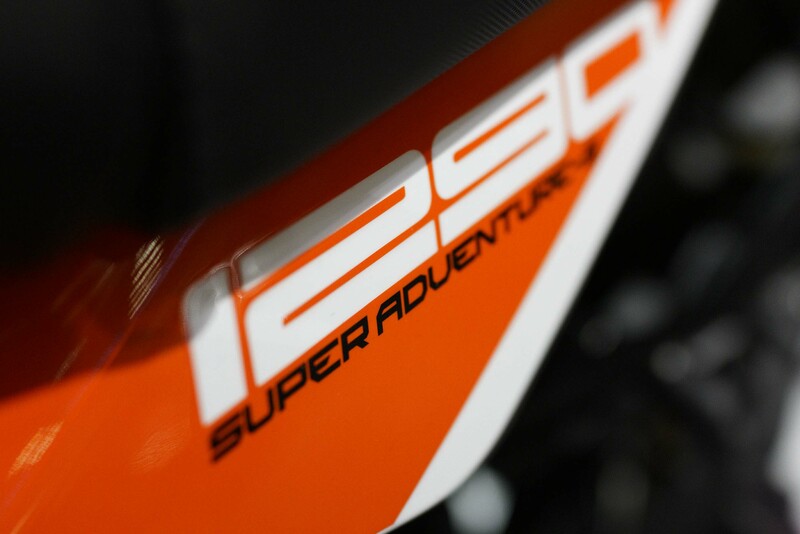 All-in-all, the KTM 1290 Super Adventure S seems like a smart choice, for ADV riders that don’t need the full off-road-monty that is the KTM 1290 Super Adventure R.